If you’re a tech nerd (which we say with the highest of regards – we at Top5 are total tech nerds too), then you need to check out Eight mattress. Why? It’s a smart mattress, and in our opinions, the best smart mattress on the market. Read our full Eight mattress review to see if this is the kind of tech you want to bring into your life. Eight Mattress was founded in 2016 and is a pioneer in the smart mattress industry. 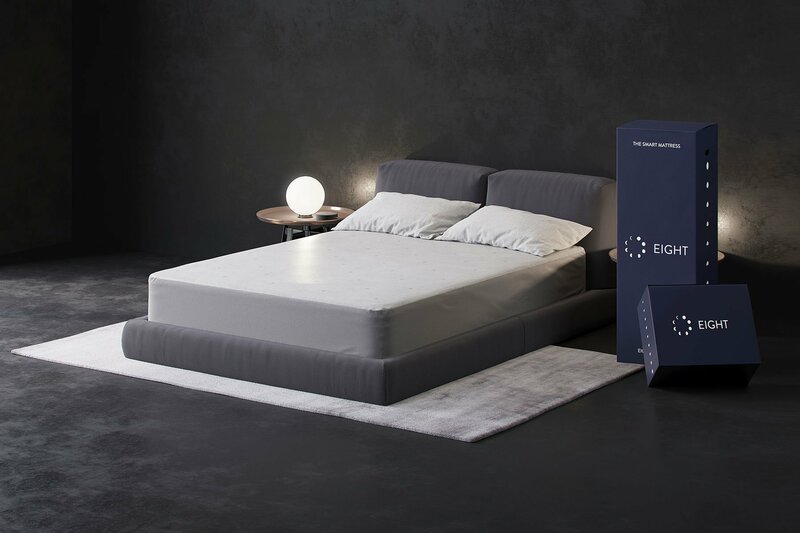 Named Eight after the ideal number hours of sleep you should get each night, an Eight mattress is unlike any of the other boxed mattresses on the market for one simple reason: it’s a smart mattress. 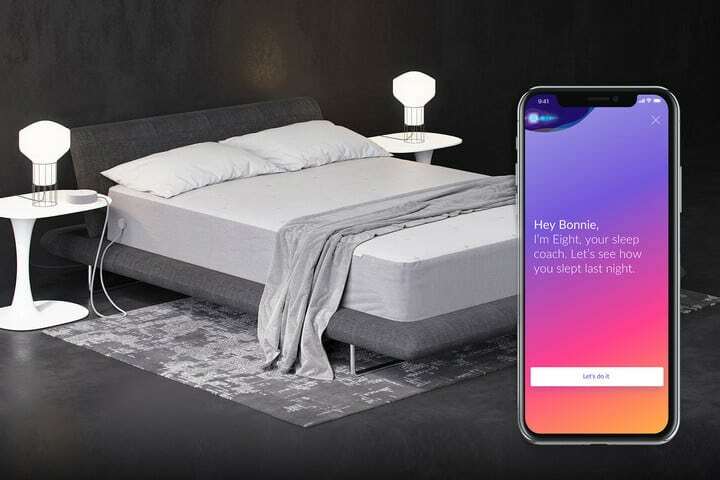 Our Eight mattress review will go over the highlights of this smart tech, so you can determine if you’d like these exciting features for your mattress. In addition to tracking your sleep, Eight’s technology can make adjustments to things like temperature while you sleep in efforts to help you sleep more soundly. The Eight app links to your smartphone, much like a Fitbit, and delivers insights such as how last night you slept 30 minutes more than you usually do, or how you aren’t getting as much REM sleep as you should. Eight mattress reviews say how this app helps people sleep better and stay healthy. Knowing your sleep patterns and finding out this information in such an easy way can boost your overall well being. 10-year warranty: Eight guarantees that your mattress will last at least ten years. What does this mean? If your mattress becomes defective or in need of repair, Eight will fix the issue. The company will either pay to have the mattress repaired or send you a new mattress, free of charge if the mattress is beyond repair. You will just have to pay for inspection costs, transportation and handling. Unfortunately, the smart cover is not guaranteed for ten years, but it does have a one-year warranty. 100-night sleep trial: Eight doesn’t expect you to love your mattress the first night you sleep on it. The company knows it can take a while (especially if you’re investing in your first smart mattress). Therefore, Eight offers a 100-night sleep trial. What does this mean? You have practically three months to test the mattresses! If at any point during the trial you decide the mattress isn’t suiting your needs, you can return it and receive a full refund. Adjustable base: Do you ever wish your mattress had a range of motion? With Eight’s adjustable base, it can. Discount options: Eight differentiates itself from some of the other online mattress companies we looked at due to its discounts. If you are a college student, Eight will give you 10 percent off your mattress. The same discount applies to military service members and veterans, as well as their spouses and dependents. Firefighters, police officers and emergency medical technicians (EMTs) can also receive a discount on their Eight mattress. Free shipping and returns: When you order a mattress from Eight, it ships for free. Returns are also free during the sleep trial. Multiple mattress options: Some online mattress companies we looked at only offer one mattress with one level of firmness. Generally, this one mattress is great for most, but not necessarily all. Eight differentiates itself by offering three mattress options, each with customizable firmness. The company is proud to offer a variety so it can satisfy all buyers, and this is something that reflects positively in Eight mattress reviews. Sleep tracking: Want to know how many times you wake up during the night or how soundly you sleep? The Eight mattress can help. Do you often wake up sweating in the middle of the night and wish you had some way to cool off? 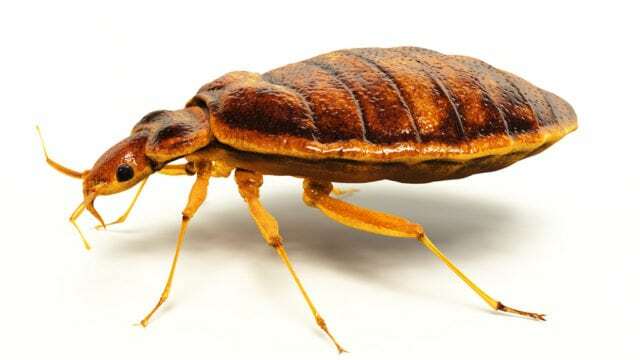 Eight mattress’s temperature control can help. Plus, you’ll learn to understand your sleeping habits so you can take steps to have a healthier sleep. 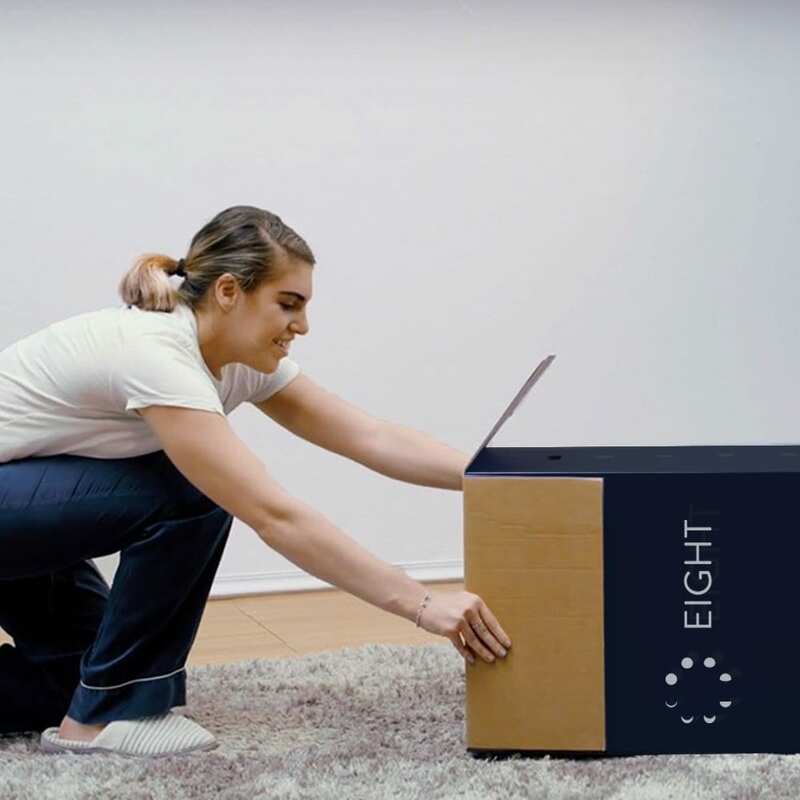 Cost: Eight isn’t just a mattress because it’s also a piece of technology. Thus, it shouldn’t come as a surprise that it is more expensive than most other boxed mattresses on the market. Size limitations: Eight mattresses are great for adults and couples. Unfortunately, these mattresses do not come in twin or full sizes, so if you are looking for a smaller mattress, Eight will not be the best mattress for you. Tech necessities: If you don’t have a smartphone, don’t want a smartphone and hate anything requiring extra technology, this is not the bed for you. Maybe you would one day like it, but you have to be okay with technology to fully benefit from this mattress. Otherwise, the cost isn’t worth it. Technology aside, the Eight mattress comes in several versions. Our Eight mattress review will highlight the differences in these options. Eight mattress reviews for all of these versions are positive. The Saturn Mattress is medium-firm and is paired with the smart cover so you can effectively track your sleep. The top layer is memory foam, and the middle layer has transitional polyfoam. Finally, the support core is comprised of high-density polyfoam. The updated Saturn mattress provides an even more enhanced experience. It’s medium-firm with two inches of responsive foam for back and hip support, followed by transition foam to reduce motion transfer and a layer of supportive foam for durability. The Jupiter Mattress is also a medium firmness mattress that is enhanced by the smart cover. The top layer is reactive memory foam so your bed will contour to your body. The middle layer has more contouring memory foam, and the bottom layer has transitional polyfoam. Below these layers rests a support core of high-density polyfoam. Another medium-firm mattress with the smart cover, this mattress has two inches of reactive foam that reacts like latex to keep you comfortable, two inches of contouring memory foam to support your hips and back, two inches of transition foam to reduce movement transference and then four inches of high-density foam so that the mattress will last a long time. 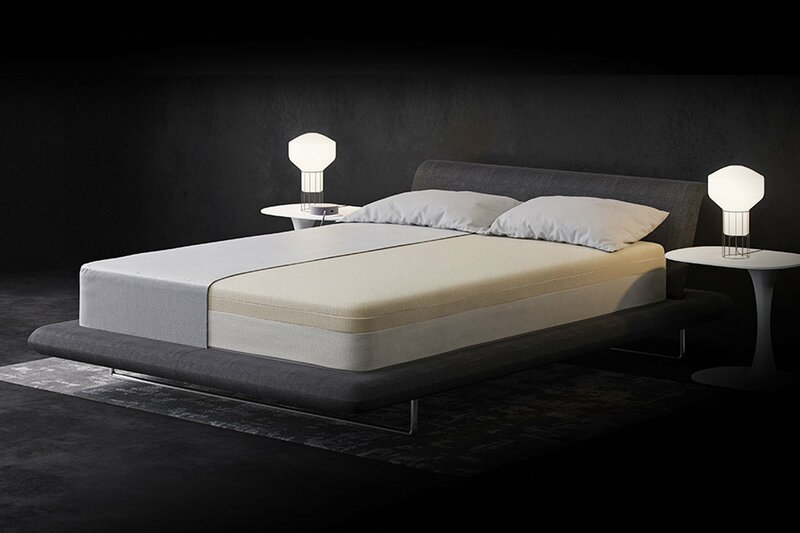 Eight’s Mars Mattress is one of the only non-foam option Eight offers. This hybrid mattress is its most expensive mattress line, and this time it’s medium-soft with the sleep cover. The comfort layer on top is two-inches of memory foam, followed by a layer of transitional polyfoam. The support core is made with a top layer of individually wrapped coils and a base of high-density polyfoam. The other Mars mattress is also a non-foam option. 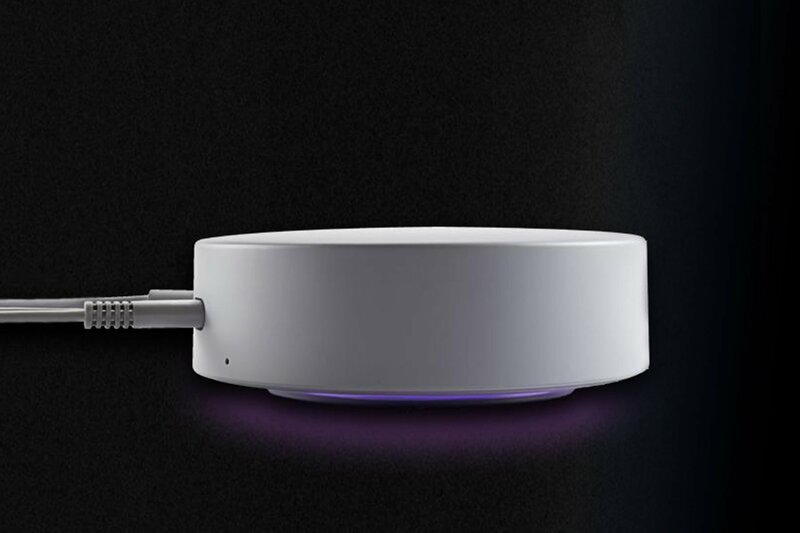 It’s medium-soft paired with the smart cover. 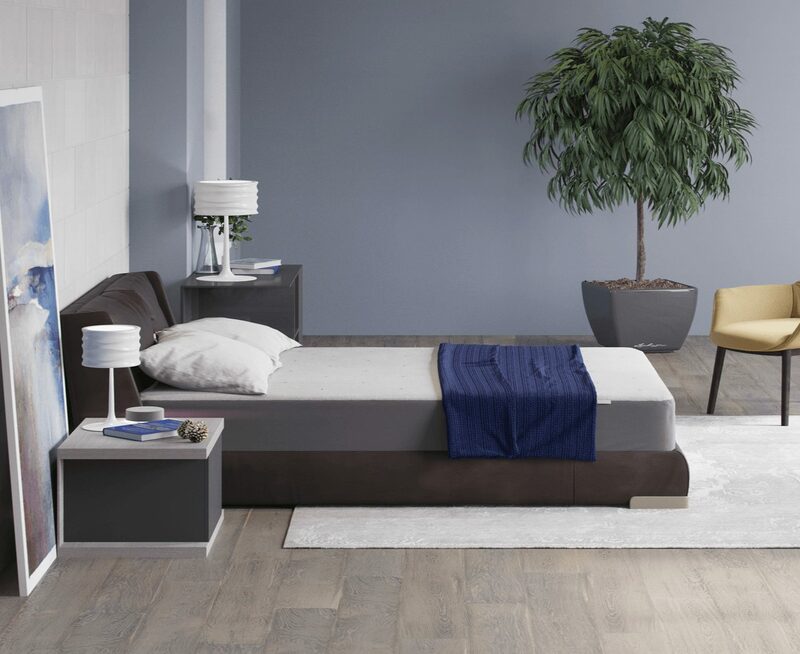 This mattress works great with two inches of reactive foam, two inches of comfort transition foam to provide pressure relief for the back and the hips, four inches of sleeved coils surrounded by foam to provide good air flow and bounce and finally high-density support foam to keep your mattress in good condition for longer. 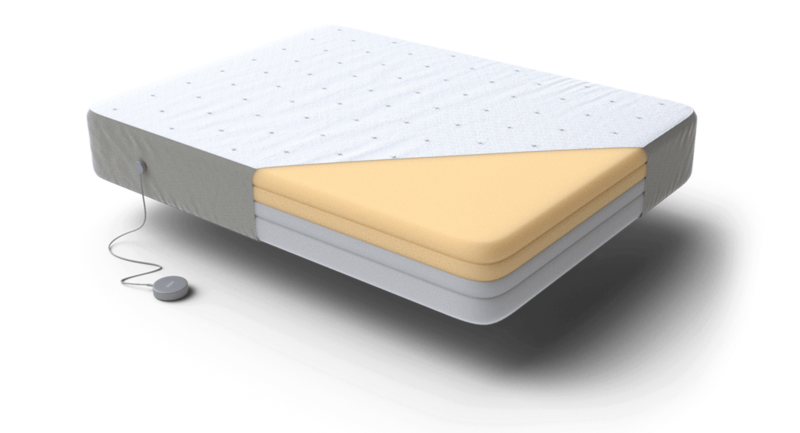 This is a latex hybrid mattress to give you maximum comfort and durability, plus the smart cover for sleep tracking and enhancement. This bed has a first layer of premium latex to provide bounce, airflow and contouring. This is followed by transition foam to increase comfort for all weights and body types, sleeved coils in a polyfoam layer to improve cooling and durability and high-density support form to add firmness. Did none of those options sound like the perfect fit? Well, good news! Eight allows you to select a custom mattress, so you can pick everything you need for your comfort. If you need split zones or custom firmness, consider these option. As mentioned, Eight mattresses come in several different versions. Many offer the option to customize it to your preferred height. Full Mattress: A full mattress is Eight’s smallest option. It measures 54 in. x 75 in. x 10 or 11 in. Queen Mattress: Eight’s queen mattress measures 60 in. x 80 in. x 10 or 11 in. King Mattress: Eight’s king mattress measures 76 in. x 80 in. x 10 or 11 in. California King Mattress: The largest of Eight’s mattresses is the California king, which measures 72 in. x 84 in. x 10 or 11 in. Eight provides free U.S. shipping. Your mattress will be delivered within 7 to 10 business days after purchase. Unlike some other mattress companies, Eight does not offer free white glove service. However, if this is important for you, a white glove service is available for an additional fee. Mattresses are expensive, so it’s a good thing that Eight allows customers to finance their purchase via Affirm. You can choose the best payment plan for you, and the soft credit check won’t impact your credit score. Financing makes purchasing a mattress even easier and more convenient. Eight stands behind its mattresses 100 percent and wants you to be happy. As such, they have a generous sleep trial and warranty program. Eight offers a 10-year limited warranty on its mattresses and a one-year warranty on its smart cover. It will repair or replace all mattresses that are deemed defective and cover costs of repairing or replacing the mattress. The owner, however, is responsible for covering transportation, handling and inspection charges. This can help you make sure your mattress lasts as long as it should. The smart system is not protected under the mattress warranty. It has its own one-year warranty. What happens if you’re not 100 percent satisfied with your Eight mattress and you don’t feel like your personal Eight mattress review would be very positive? Return it! Eight has a 100-night sleep trial, which means you can sleep on your mattress for 100 nights to see if it’s the right mattress for you. If you decided it’s not comfortable or you’re not using the technology components as much as you’d thought and would prefer a non-smart mattress, no problem. You can return it and receive a 100 percent refund. 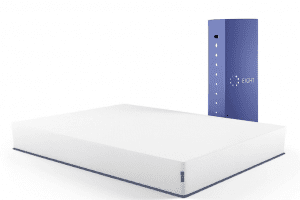 In addition to smart mattresses, Eight has a few additional product offerings. 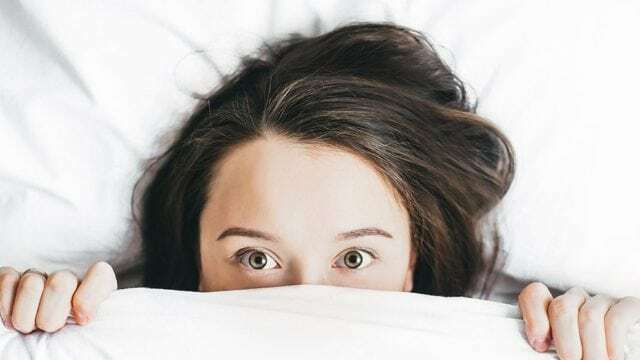 Although not part of a typical Eight mattress review, we’ll include some details about these items because they can enhance your mattress experience. The base is available at an additional cost and comes with a three-year warranty. If you have trouble falling asleep, your smartphone could be to blame. The blue light emitted from smartphones impacts our natural sleep rhythm and can make it hard to fall asleep. While you should put your phone down one hour before you go to bed, there are ways to get around it. After all — Eight caters to technology lovers, so the company doesn’t expect you to give up your smartphone! One of the ways you can overcome blue light is with special glasses. Eight’s blue wave glasses block up to 60% of blue light to help you get a better night’s sleep. Plus, they ship for free, can be returned (for free, of course) within 30-days. The glasses have a 1-year warranty. Should you get an Eight mattress? After our full Eight mattress review, we feel like this is a great investment for certain kinds of people. If you’re a technology fiend and love being up-to-date with the latest trends, then you should consider testing out an Eight mattress. However, some sleep tracking options are less expensive and perhaps more convenient for some people. It’s up to you. Have you tried this mattress? Leave your own Eight mattress review below!